일상의실천에서 <Music Meets AI> 프로젝트를 위한 그래픽디자인을 진행했습니다. <Music Meets AI는 국내 인공지능 기술 스타트업과 문화기술개발자, 뮤지션의 협업 결과물을 국제적인 컨퍼런스이자 페스티벌인 ‘SXSW 2019’에서 소개하는 프로젝트입니다. 일상의실천은 음악의 다채로움과 인공지능이 지닌 무궁한 가능성을 시각화하기 위해 노력했습니다. 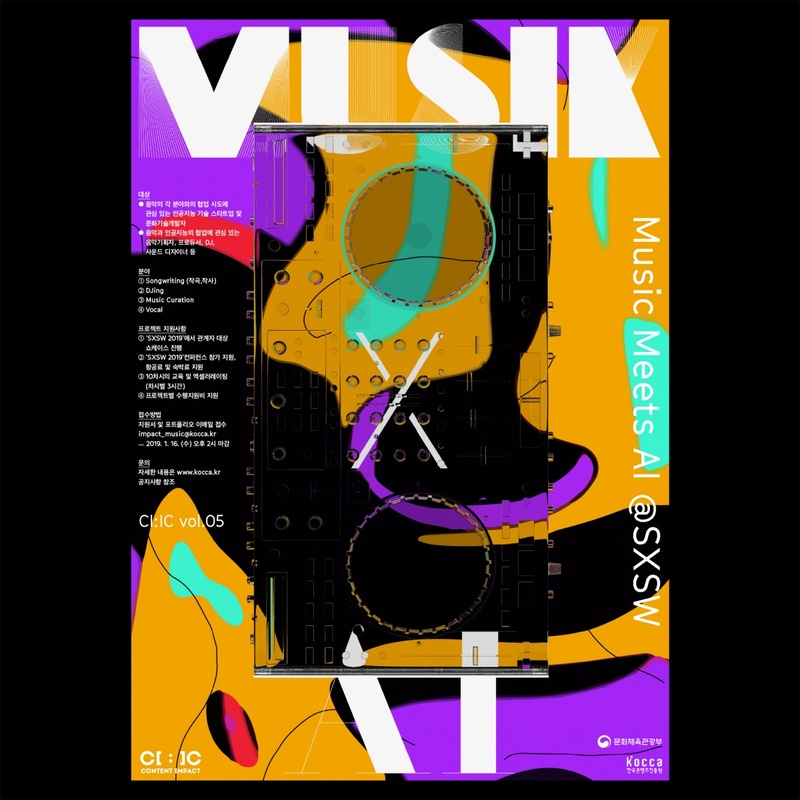 We worked on a graphic design for the <Music Meets AI> project. <Music Meets AI> is a project that introduces the collaboration outcome of AI technology startups, cultural technology developers and musicians at the international conference and festival called ‘SXSW 2019. We tried to visualize the richness of music and the infinite possibilities of Artificial Intelligence.